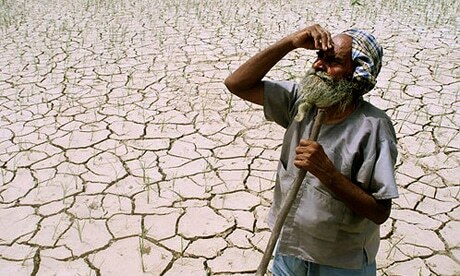 Sixty percent of the Indian population relies on agriculture for a livelihood. And the agriculture sector relies mainly on the country’s unpredictable monsoons and increasingly depleting groundwater for irrigation. With small-sized private farms dominating the agriculture scene, the problem of water management is becoming increasingly serious as development proceeds. Currently 92% of India’s water use is designated for agriculture alone; this is mainly to meet the water requirements of high-intensity agriculture. According to The Grail Research report 2009, production of water-intensive crops in India is expected to grow by 80% between 2000 and 2050. Wheat, rice and sugarcane together constituted 91% of India’s crop production in 2008 and the virtual water (water consumed in one year for the production of a crop is calculated as the product of its annual production and its water footprint) consumed for production of these crops increased by 88 trillion liters over the period 2000 to 2008. It is estimated that the volume of water used for irrigation in India will increase by 68.5 trillion liters between 2000 and 2025. With this growth, 50-75% of the groundwater will be depleted by 2050, with 72% of the country falling under the “crucial zone”, where groundwater has been over-exploited. Unpredictable monsoons and negligence to provide for proper water management has not helped the cause. As demand for agricultural produce increases along with improved livelihoods nationwide, water consumption will continue to increase and less water will be available to meet irrigation demands. 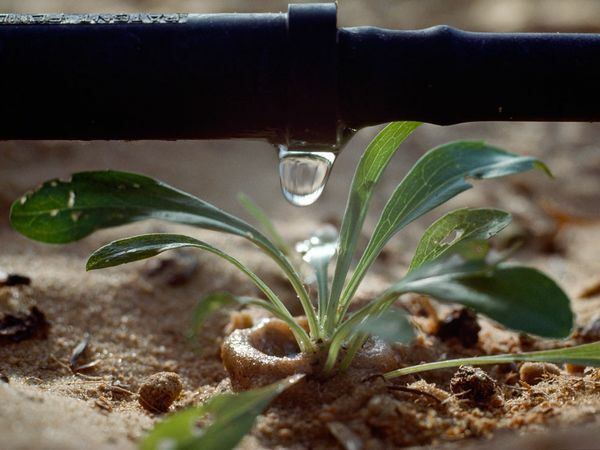 Innovative techniques and new technology are beginning to emerge with the goal of radically enhancing productivity of irrigation (“more crop per drop”). Advanced weather forecasting and early warning systems, piped conveyance, better on-farm management of water and use of more efficient delivery mechanisms such as drip irrigation and sprinkler systems are among the actions that could be taken. There is also a need to manage as opposed to exploit the use of groundwater. The urgency and the need are immediately apparent in India, and the solutions are gaining momentum. The government seems to be moving in the right direction and has planned to come out with a new agri-business policy after a long break of 13 years from the last one. It has also extended 90% subsidy to big farmers for adopting drip irrigation. Companies like RealTech Systems, which has developed an irrigation control system for farmers using cell phones and missed calls and Driptech, a California based company selling drip irrigation system in India at a fraction of the price of existing systems are just a few in this growing space. Unitus Ventures (formerly Unitus Seed Fund) is looking for startups that provide scalable, profitable solutions that can deliver more crop per drop within the vast Indian agricultural sector. Read more here.